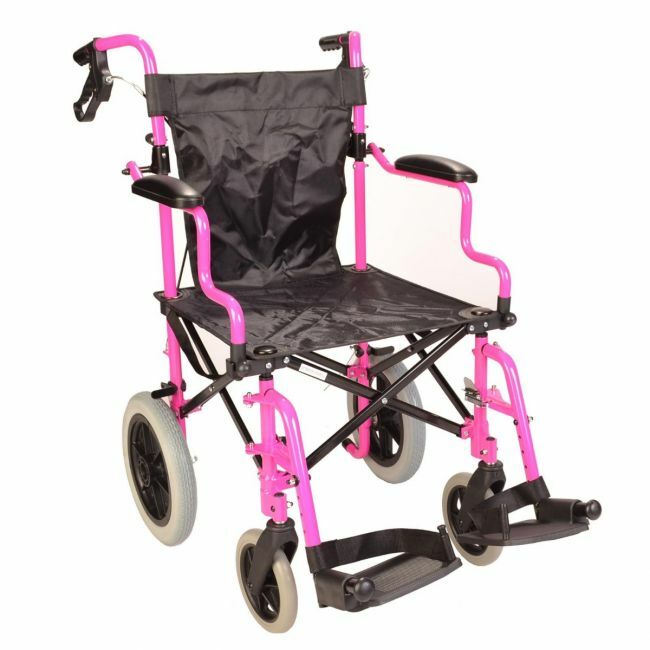 Travel confidently in a bold pink wheelchair that is lightweight and unfolds in seconds. The deluxe pink wheelchair in a bag is an ideal portable travel wheelchair. Packed with features yet fits neatly into the carry bag, this lightweight wheelchair can be stored at home or in the boot of a car, so it's always on hand when you need it most.